Easy as 1-2-3. And delisyos. You will lick your plate clean. Count on it. 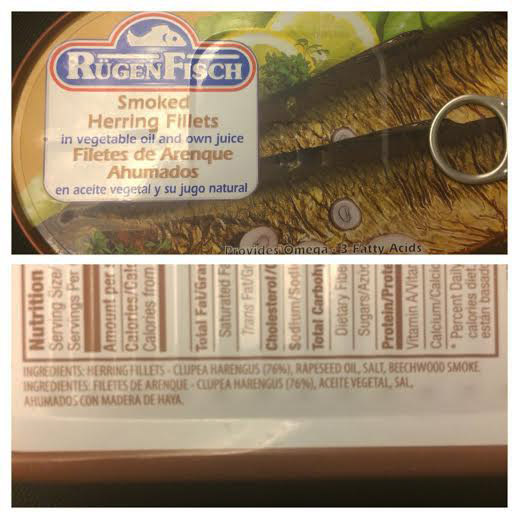 I don’t really do canned goods, but the Smoked Herring fillets by Rugen Fisch seems to be preservative free, and I’ve not had any allergic reaction to it. So when Isetan went on sale, I hoarded a bunch. I take out the herring fish and shred it, and set aside the oil it was marinating in. Boil water in a pot for your noodles. Once it has reached boiling point, lower the fire and cook the penne pasta. I don’t like to add salt in my pasta water, it’s additional salt I don’t need in my food. And I add oil when my noodles have been drained. Make sure that you stir it constantly because they have a tendency to get stuck to each other and when that happens, you just have this big blog of penne pasta that is useless.. 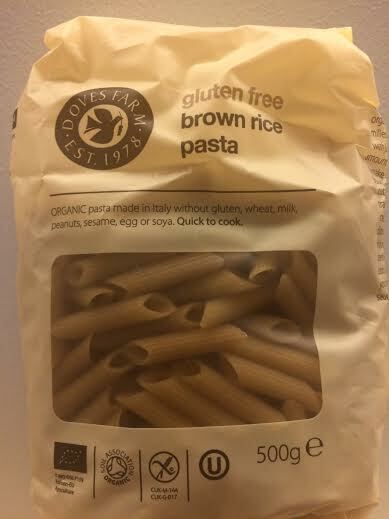 I noticed that brown rice pasta do not taste good after being refrigerated and reheated again. And it gets soggy when you pour hot water over refrigerated rice pasta. I try to estimate it that I only cook what I think husband and I will consume for 1 meal. We can finish 500 grams of pasta noodles in 1 meal. This recipe can feed 3 people. Maybe four. So yea, judge us. We don’t care cause it’s THAT good. This is the penne pasta brand that I use. I bought 5 packs in London and brought them home here to KL. One pack is 500 grams, costs 2.49 pounds. If you prefer not to spend so much on just the noodles, which is totally understandable, you can use rice noodles instead! I’ve tried it and the dish still tasted awesome. While your noddles are cooking, you multi task. In a pan, heat up some of that herring oil, and saute the onion and half of the garlic. Let it cook on medium fire, stirring it once in a while so it doesn’t burn. Add your cherry tomatoes that have been sliced in halves. 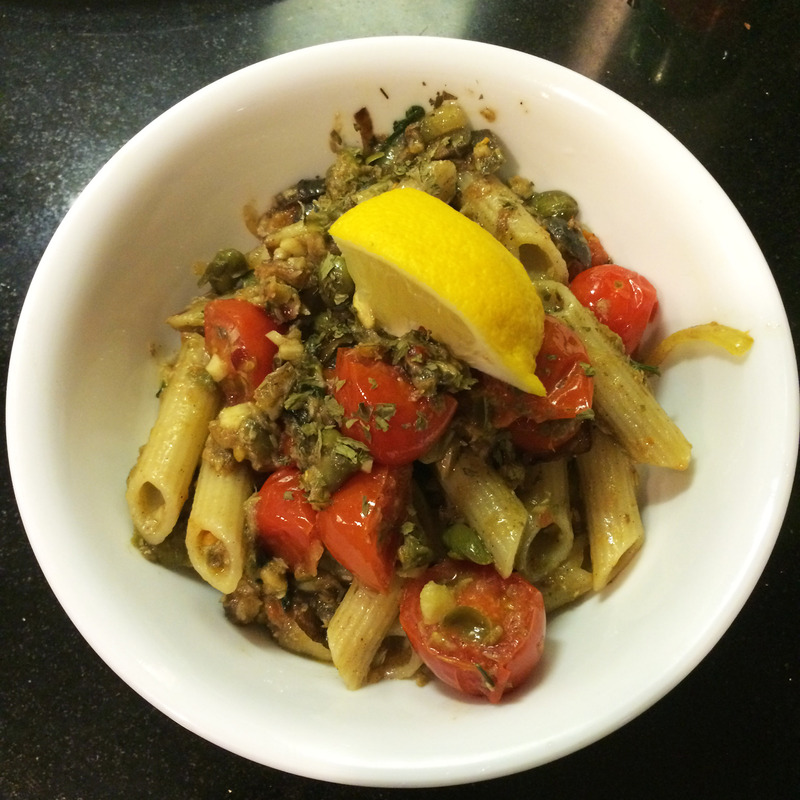 Next, drop them capers and olives in, squeeze in 1/4 of the lemon, cook for a minute. Parsley and chili flakes go in, mix mix mix. Add the shredded herring. And last to go in is the other half of your chopped garlic. I like to add it last to give it that garlicky fresh taste, ohhh yum!!!! Add a little bit more of your herring oil, salt and pepper your masterpiece, and don’t forget to taste it. By the time that your sauce is done, your noddles should be ready. Pour it in a coriander and drain the water. Return your noodles into the pot that you cooked it in (husband get’s on my case of me using too many pots pans knives chopping boards laddles, everything! So as long as they are still “clean” I reused them right away or quickly rinse them) and pour your herring sauce in. Stir it on the lowest fire setting you have on your stove, you want your noodles al dente not soggy. Adding a little at a time, pour in extra virgin olive oil, and some of that heavenly herring oil. Well, maybe more of that herring oil than the evoo. Salt it up a little bit more, and taste it again. And again. And again. This entry was posted in Baseline. Bookmark the permalink.